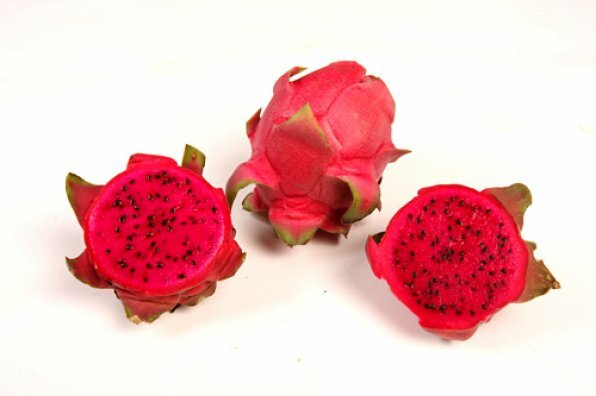 THIS VARIETY WAS INTRODUCED TO FLORIDA FROM THAILAND, AND IT IS GROWN ON A SMALL SCALE COMMERCIALLY IN HOMESTEAD, FLORIDA. IT IS A CONSISTENT PRODUCER OF DARK MAGENTA FLESHED FRUIT THAT TYPICALLY WEIGH ONE POUND. THIS VARIETY DOES NOT REQUIRE CROSS OR HAND POLLINATION, AND IT WOULD BE A GREAT SELECTION FOR BOTH HOMEOWNERS AND COMMERCIAL FARMERS.